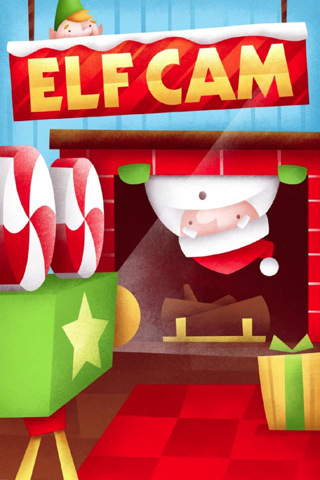 Elf Cam is an iPhone app dedicated to Christmas. Wanting to keep your kids excited about this coming Christmas? Elf Cam is the perfect app for you. Specially made with a Christmas objective behind it, it is packed with technology and videos to keep your kids staying in good behavior and happy till the 25th of December. It has two main features worthy to be pointed out. Firstly, is the presence of a video editor. Not just any ordinary video editor but an editor to make Santa Claus appear wherever you want! Simply take a picture or video of your fireplace or any suitable room and by using the editor, you can crop where Santa appears. The finished product is Santa climbing through the chimney, breaking into your house whatever. See the video right at the bottom for a clearer idea. It works rather well; I just tried it on some random photo of the exterior of a hotel, crop a small little area at the entrance and after the magic is done, it did looked rather convincing. Ho ho ho, you sure surprise me there Mr. Santa. What were you doing in the hotel? Sorting out your gifts? The second other major feature would be the different videos explaining different things about Christmas and a daily update of new video building up to Christmas. It is kind of cool and certainly will entertain your children and the younger population. Though videos can be said to be of rather budget quality, I guess it does the job. All you have is a human elf going on and on for that few minutes but hey, if he is talking about Christmas, who cares! Christmas is awesome! There are other features present within the app itself, from a good/naughty list which parents can edit, a wish list that whenever your kids send it a video will appear to say that Santa is making it (I sure hope your kids don’t go wishing for expensive stuff. Ultimately, Santa is you eh? (Shhhh quiet down on that before the kids cry). There is also the north pole finder to find where the north pole is. And last but not least a Christmas countdown. It is indeed a feature packed app for Christmas and just for the little video capturing Santa breaking into your house it might be worth the price tag of $1.99. 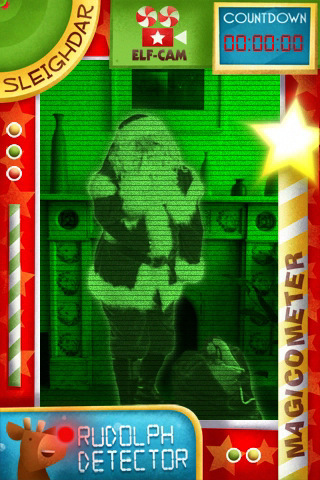 Impress your kids, make them believe in Santa, this app should do the job rather well. As said previously videos are rather of budget (would prefer them using some animations here and there rather than just a person standing there rambling. More graphical work should make it more fun and exciting) but I guess they do the job well of explaining the unexplainable. At the end of the day this app should impress not really the adults but the children. Have kids? Yeah, this little price you pay for should be worth it. Want to impress your college mates? Hmm… I have my doubts on that.